Most things I know about life come from my mama. Always say thank you. Respect your elders. Underbake your cookies. 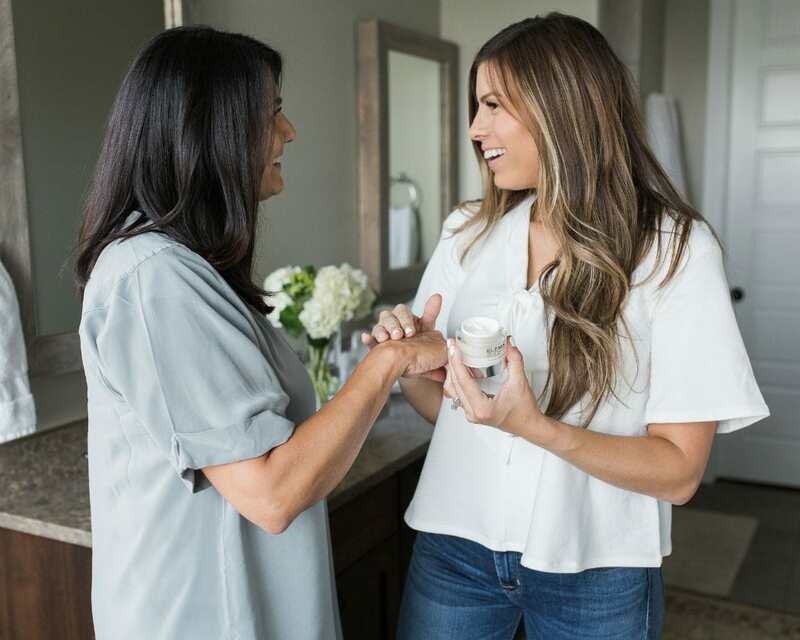 But every once in awhile I find out about something I love and get to share it with her, and that's exactly what happened with Elemis. You can read where my love affair with Elemis started here (it involves choosing between buying sample sizes of a new skincare vs. using a hotel bar of soap to clean my face!). And once I became a die-hard Elemis fan, I made sure to tell my mom (who's an amazing food blogger!!) 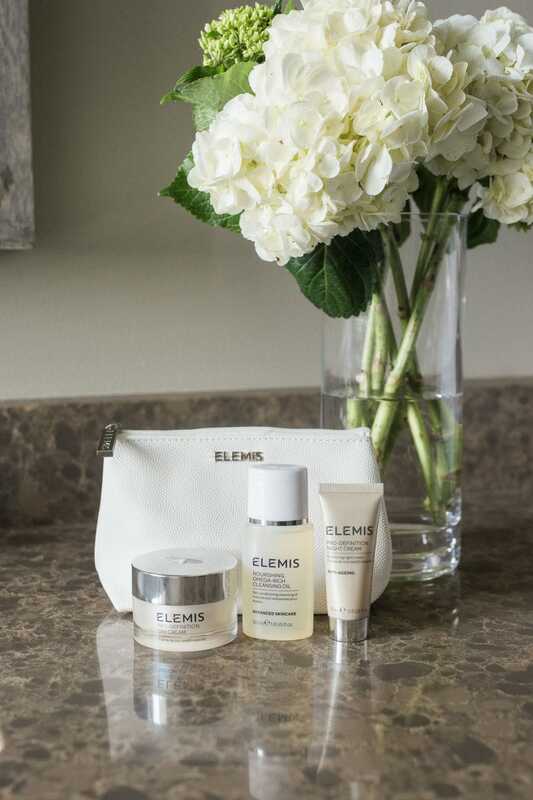 about the amazingness that Elemis is for my face, and (of course!) let her know when I found an amazing Elemis deal, and the next thing I knew she was hooked too. So today we're introducing you to a new anti-aging line they just released for an unbelievably incredible deal! I'm a huge fan of Elemis in general for how incredible their product feels going onto your skin. 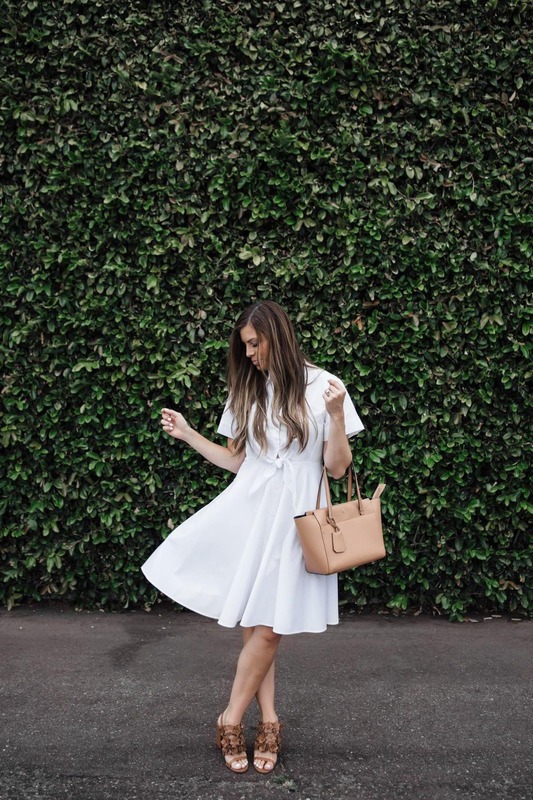 Nothing ever feels greasy or heavy, but light and refreshing and super nourishing! I also LOVE that they use essential oils to create their yummy smelling, but not overpowering fragrances in their skincare. Since they're all natural they're perfect even for super sensitive skin like my mom's! This Nourishing-Rich Omega Cleansing Oil not lifts the impurities of your skin as it cleanses, but it also soothes and softens your skin while maintaining its natural barrier. Instead of being the type of cleanser that leaves your skin feeling dry or tight, it feels completely conditioned after each use. If I didn't KNOW I needed moisturizer, I'd feel like I could skip it after washing with their cleansing oil. 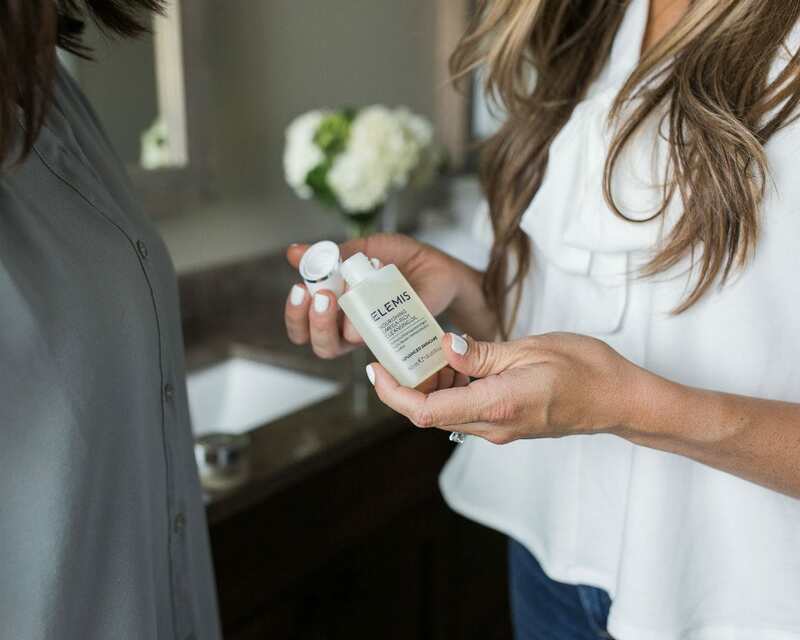 My mom and I both LOVED how this cleansing oil felt on our skin! 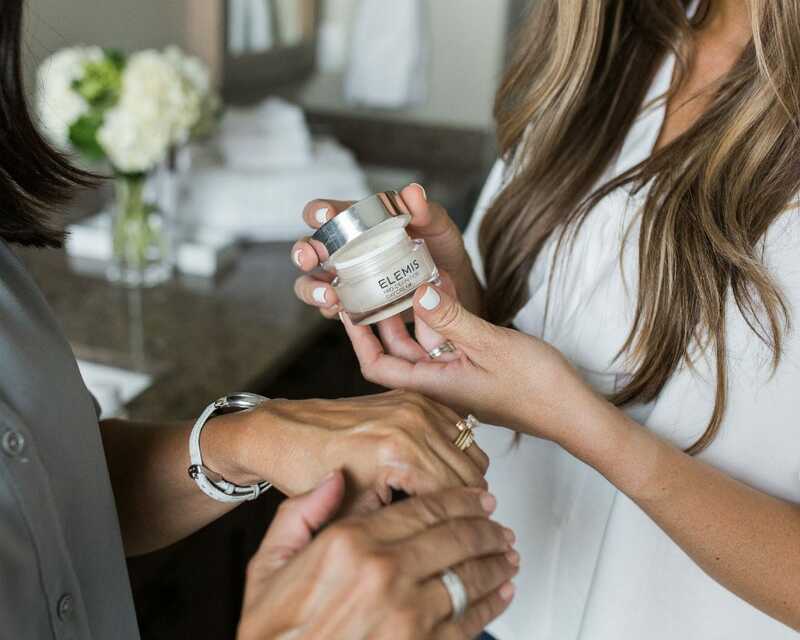 The Pro-Definition day cream combines hi-tech plant stem cells and Arjuna bark to not only moisturize your face, but it restores your skin's vitality by firming, plumping and tightening too! This is where the anti-aging comes in and you really see a difference using a line with these anti-aging properties. The Pro Definition Night Cream is as productive in your sleep as you are during the day. It helps reduce the appearance of vertical fine lines by using a powerful blend of Gardenia stem cells, Arjuna and Lupin. So what does that all mean? It means these extracts combine together to stimulate your skins biological energy cycle to help deliver lifting effects while you sleep! And hello, I LOVE it when something works while I sleep. Yes please! 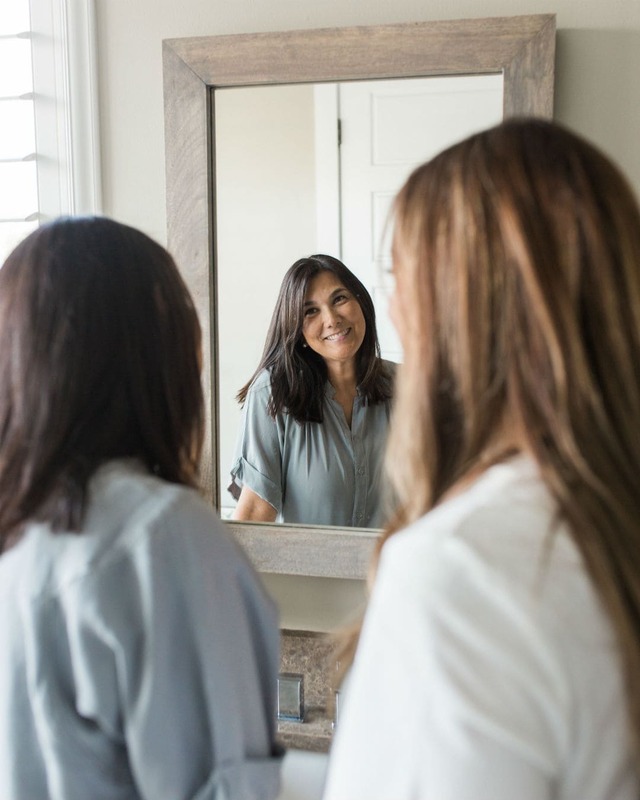 My mom and I both love our Elemis skincare products so much, and we were THRILLED with this new Pro-Definition 3-piece skincare set. It's an AMAZING deal right now, $49.50 for all 3. Seriously just ONE of these alone would cost double that for a full size, so being able to try all 3 in small (but not tiny!) sizes is such a good deal. You can see how big these sizes are by looking at our pictures above. They're all actually a pretty good size that I think would easily last 3 months. You can get the Pro-Definition 3-piece skincare set HERE for $49.50 through the end of August. 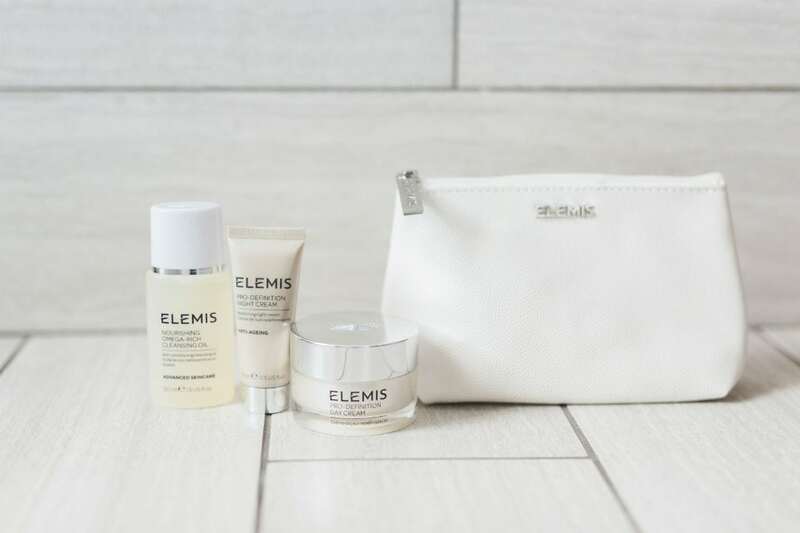 And one last little treat – Elemis is allowing me to give away the full Pro-Definition 3-piece skincare set along with my 3 favorites from Elemis, their Marine Cream, Pro Collagen Cleansing Balm, and Pro-Collagen Hydro Gel Eye Masks to one reader's mom or a deserving mother over on Facebook. 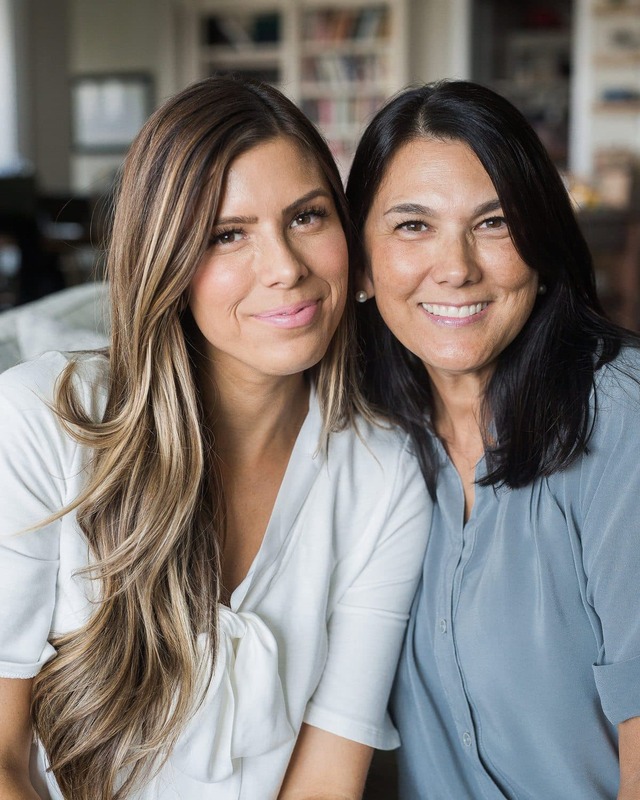 Make sure you're following me here so that when I go live today you'll get a notification and you can enter the giveaway for yourself, your mom or another deserving mama you know and love. Thanks Elemis for sponsoring this post!